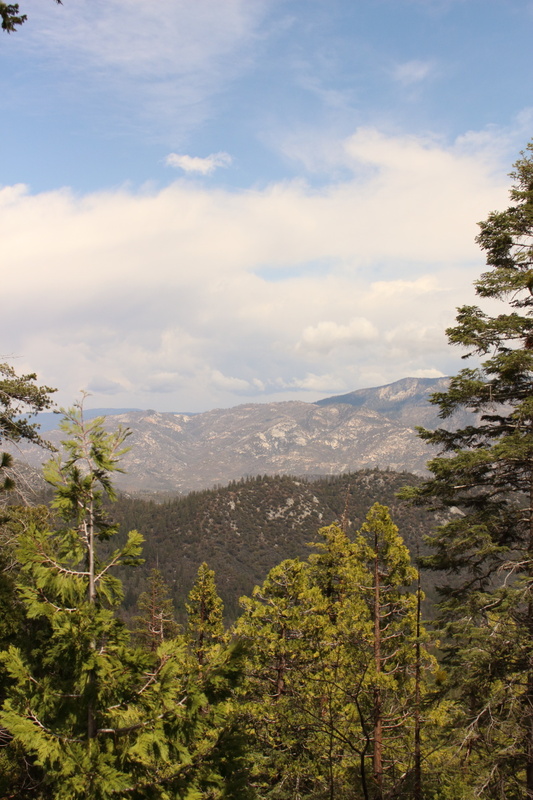 Grand, Towering Sequoias… and no photos of them…. We spent a few days dry camping at Pioneer Point campground at Lake Isabella, CA at the bottom tip of Sequoia National Forest finishing up some work reports. We wanted to be close to the park so when we did finish with work we could head up in the hills and sightsee for a night then head back to civilization before prepping a few days before our big trade show in Anaheim. We would have LOVED to have sat in the forest, writing our reports under the canopy of the giant sequoias, but alas, there is no cell service deep in the park and we had lots to accomplish before a mini-break! I scoped out a route and researched all the campgrounds. Most on the route to the Trail of 100 Giants don’t even open until Memorial Day weekend. But I found one waaaay up north that was open year-round. I circled it on the now-known-to-be-terribly-inaccurate National Park Campground map we were given at Pioneer Point (another year-round open campground) and we headed out to dump our tanks, refill will water, food and fuel. We were good to dry camp another 3-4 days, if needed. 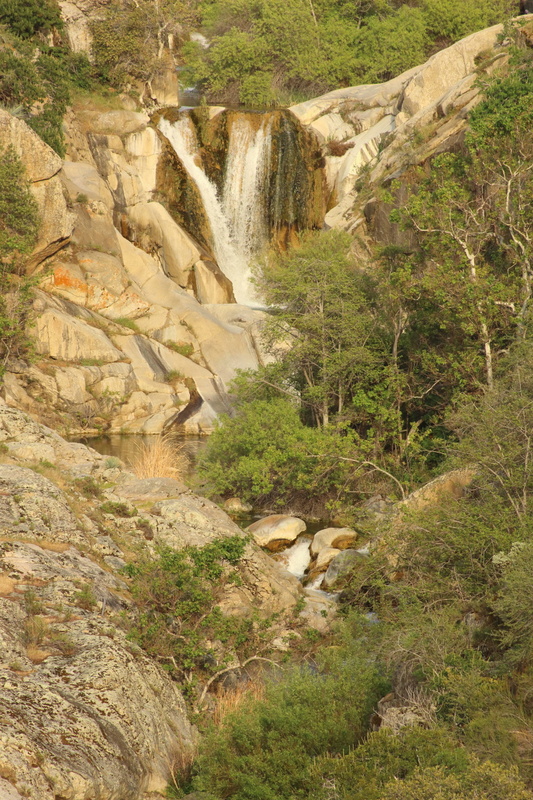 We headed north further into the canyon, following the Kern River that would eventually take us to the Giant Sequoias. The road was steep, twisting, turning, hugging the side of the mountain, as we climbed in elevation. 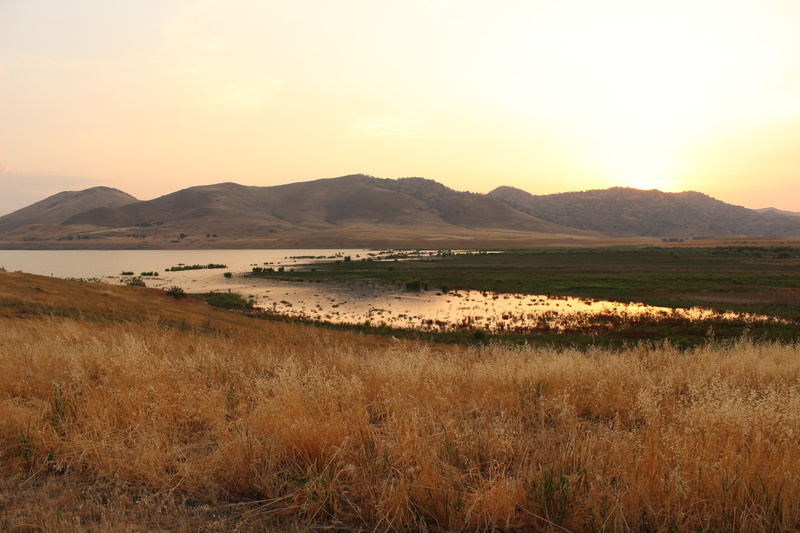 Take note – Lake Isabella elevation is 2513. The vistas were breathtaking. Literally. There were no guardrails. NO GUARDRAILS. Not even rocks placed at the edge! We were climbing hugging the mountainside, which I immensely prefered, but Michael said he would have liked to have been on the other side of the road. When hugging the mountain, rock protuberances hung out high above our heads, sometimes over the white line. No problem if we were in a sedan. But Mike had to swing wide in those instances and we had to keep an eagle eye to be sure we didn’t scrape the side of the camper! And around those tight curves? Luckily there was very little traffic since he had to spend a lot of time in the oncoming lane. Neither of us had ever seen a giant sequoia. I had read about them a few weeks ago – the Redwoods and Giant Sequoias are two different trees. Both are “giant” type trees. The sequoias are found in the lower half of California and are smaller than the redwoods found in northern CA. We had to drive quite a ways before we started to see any tree that was unusual to either of us. We had long lost our cell signal so I had no way to research while in the car. And I had not remembered to look any of the info back up before we left to refresh my memory. We were on our own! Let me remind you we are hauling a 39 foot, 16,000 pound fifth wheel camper behind a Ram 3500 dually. That truck is a BEAST! She drug that camper around those West Virginia-like hairpin turns at 5-10% grades with ease. But these were no ordinary east coast hairpin turns. I grew up driving through WV backcountry and what we drove through in the Sequoia National Forest – all I can say is WOW! Can you see the tiny road on the ridge? That was us climbing…. Finally we started to spot these reddish barked trees. Not so large at first, but we had never seen anything similar before. Then the trunks started to get bigger and bigger. I had to keep reminding Michael to keep his eyes on the road! Luckily by this time we were in forest and not hanging off the side of a cliff! They were pretty giant! But we both concurred not as enormous as we anticipated. We finally got to Trail of 100 Giants, which I thought was just a scenic road. (Misinformed by the useless National Forest map.) Apparently there is an actual trail. We decided we’d get to our campsite, which we estimated was another 30-40 minutes ahead of us, drop the camper and come back later that day or in the morning. So we kept driving. And climbing and twisting and turning. We reached our peak elevation at 7200 feet. 6000 feet. Same twisting, winding, switchbacks but now with 16,000 pounds pushing on the truck. We have trailer-brakes and a jake brake on the truck. But we were going so slow the jake brake wouldn’t engage. So Mike was on the brake pedal a lot. I dare you to open up the map below and really look at how squiggly that yellow line is. That is the road Michael was driving down. At a serious grade. We pulled over at a turnout and took a nap for about an hour (aka, let the smoking truck brakes cool down). I kept looking at my map. Where was this campground? All the other national park campgrounds were so well marked. Why hadn’t we seen this one? Maybe we just hadn’t hit it yet. So we kept driving. Going down. We’d stop so I could take a picture now and then and give the brakes a rest. It didn’t help that at this particular junction it did not help my nerves that the dash now told us our trailer brakes had disconnected. We stopped, I checked the connection. Pulled the plug out, plugged it back in. Nope, still not reading. No wait, yes it is! No, no, it’s not. Seems we have a short. Great timing!! As were were driving Mike could hold the trailer brake tester on the dash to engage those brakes before stepping on the truck brake. Folks, we were going about 20 miles per hour. This was some intense driving. 4000 feet, 3000 feet, 2000 feet…. and we were out of the park. Folks we just climbed up 4,700 feet and back down 5000 feet in one day. We never did find that frickin’ campsite. Obviously we needed to turn off on a road somewhere that I didn’t make a note of. So we kept driving. 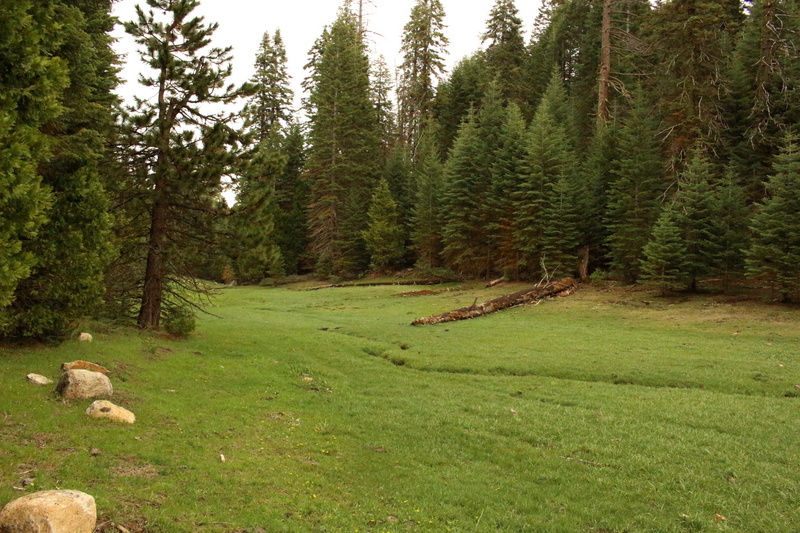 We ended up camping at Tule on Lake Success, unfortunately not looking very successful at the moment. It too, appears to be a victim of the four-year Californian drought. But the campground if flat with electric and water hook up and a dump site before we head out. And since we never got to our original campsite we definitely do not have it in us to drive all the way back through that to walk the Trail of 100 Giants. And that, folks, is why I have no pictures of giant sequoias. 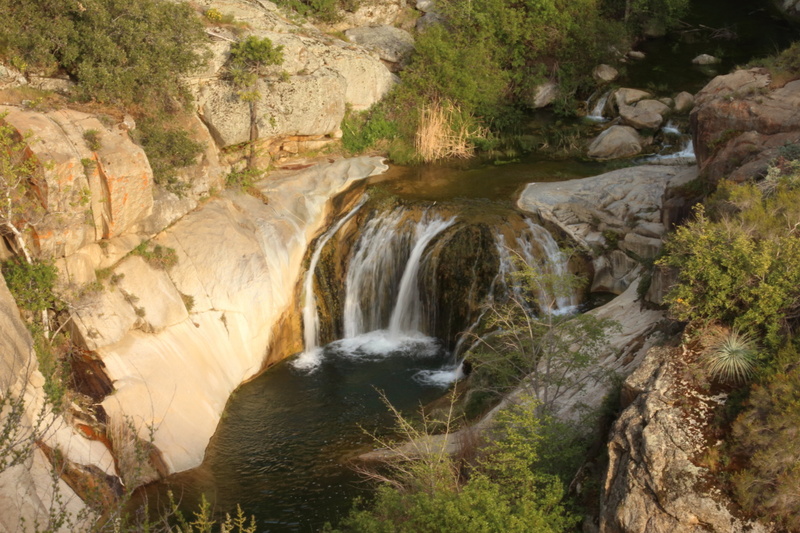 But I will regale you instead with some other photos I took along the route, including secluded meadows, waterfalls and scenic vistas, the last photo, taken at Lake Success, outside of the park, where we end up spending the night. Oh my, what an adventure. 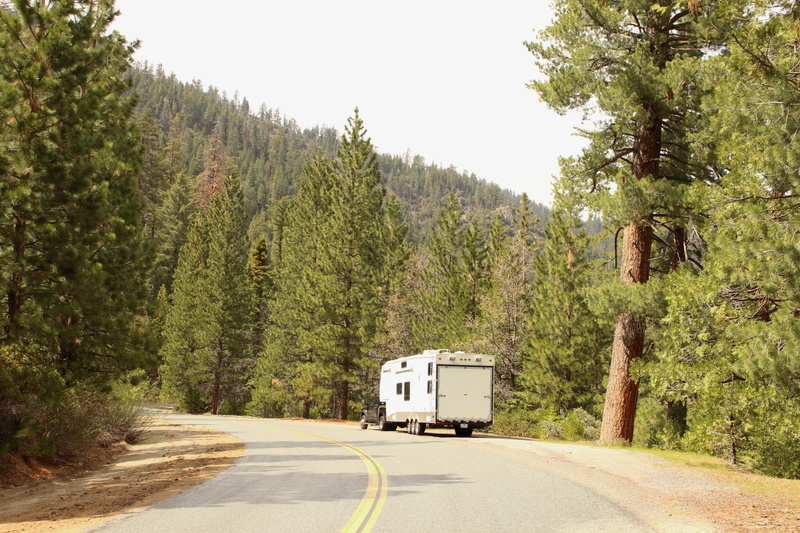 We have been on roads in our RV that we should not have been on, usually by mistake. 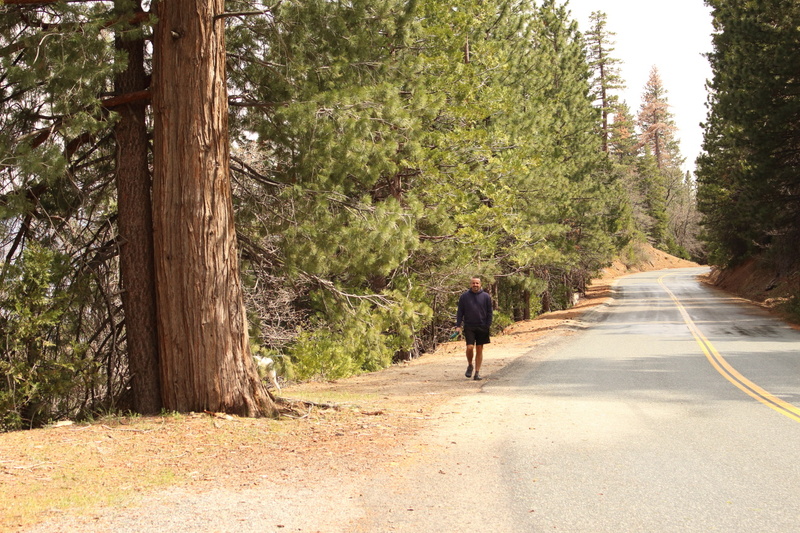 When we were in Yosemite we took the drive south to see the giant sequoias, but we took car and that was bad enough.